​There you have it; that is what sets Drummond Island apart. It’s a riding adventure and the trails are fun. The off road vehicle (ORV) trails on Drummond are some of the most scenic and rugged in Michigan. 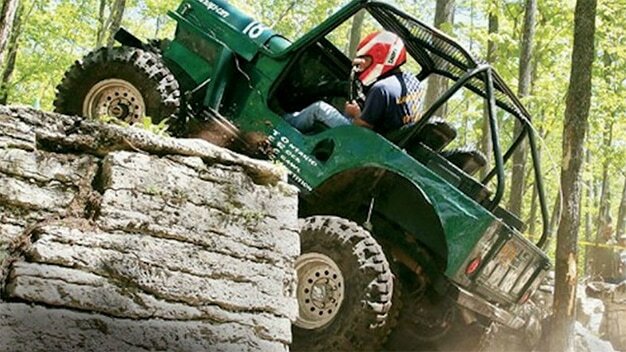 Drummond’s DNR sponsored trail system is the largest closed loop ORV system in the state. With over 60 miles of ATV trails and 40 miles of ORV routes there’s a lot to explore! ​Also many non-riding outdoor enthusiasts have found the ATV trails great for hiking into the Island’s interior to explore or take photographs. Riding on the ATV and ORV routes is becoming popular in the winter too, but only on state land. Snowmobile trails crossing private property are not legal to ORVs. 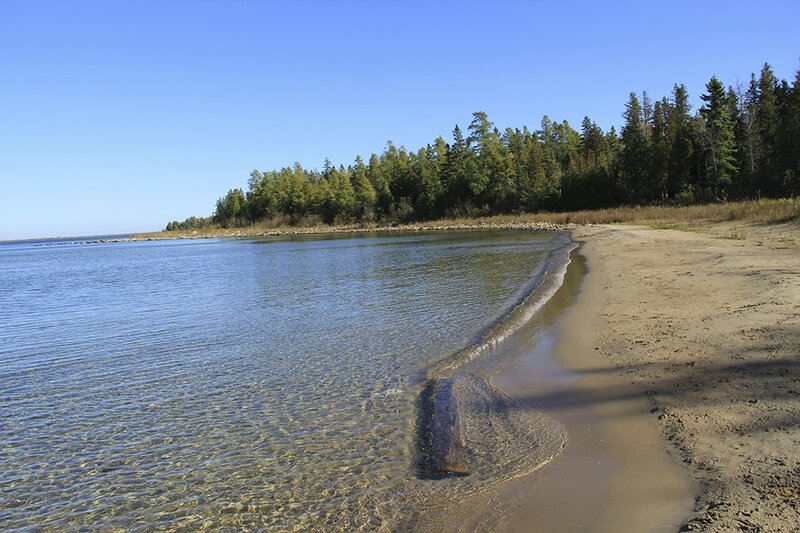 ​Drummond Island’s ORV system contains a wide variety of terrain. From picturesque hardwood forests, to expansive, wide open meadows, spiced up with occasional short rock climbs. Discover island routes that run along stone ridges carved out by Lake Huron and the last Ice Age. And ride loops that take you near the shore of Lake Huron for some exceptional vistas, as well as distant views of the Canadian shore. If challenging trails set deep into the woods can be considered a treasure, then Drummond Island has the mother lode. Drummond’s trails lend themselves to long extended trail rides where you’ll want to take water, food, first aid, and tools in addition to extra clothing. 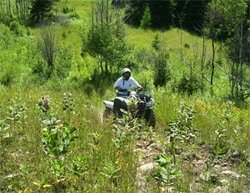 With the rugged nature of Drummond’s ATV trails, 4x4 utility ATVs are preferred. Even though utility style quads and 4x4s lend themselves more to the kind of ride Drummond has to offer, side-by-sides have ample trails to explore on the ORV routes. Stock full sized ORVs and 4x4s can certainly handle most of the island’s full size routes, but it is highly recommended that they be equipped with skid plates because the bottom side of any full sized ORV is going to find itself “making contact” with Drummond along the way. Tow hooks are a great idea; lockers or limited slip differentials definitely help, but are not absolutely necessary. The key is vehicle ground clearance and being 4x4 capable. This is one place where you will get your money’s worth from an aftermarket suspension lift and or tire upgrade! ​​Remember riding along the shore or beach or in the water is illegal in Michigan and on Drummond Island. Please, help protect the island; do not follow illegal tracks. Also bear in mind, the island has an active state forest so you may experience ongoing logging operations at points along your way. Drummond’s trail system is no place for high rates of speed. Please be smart and ride safely. ​Leading into Marble Head, these rock shelves guard the approach to the over look viewing the False Detour Channel and Cockburn Island, ON., Canada. The Glen Cove parking lot is a good place to leave your car if you are planning to hike the well marked trail to the Marble Head. (Note: It is a six mile hike round trip). The beach is about 2 miles in length and has a rolling hills feeling, like sand dunes made up of small pure white rounded shale stones. It's a favorite place to picnic, walk the beach and skip stones. (Note: Swimming is very dangerous here. Stop at the Visitor's Center for information about these locations. 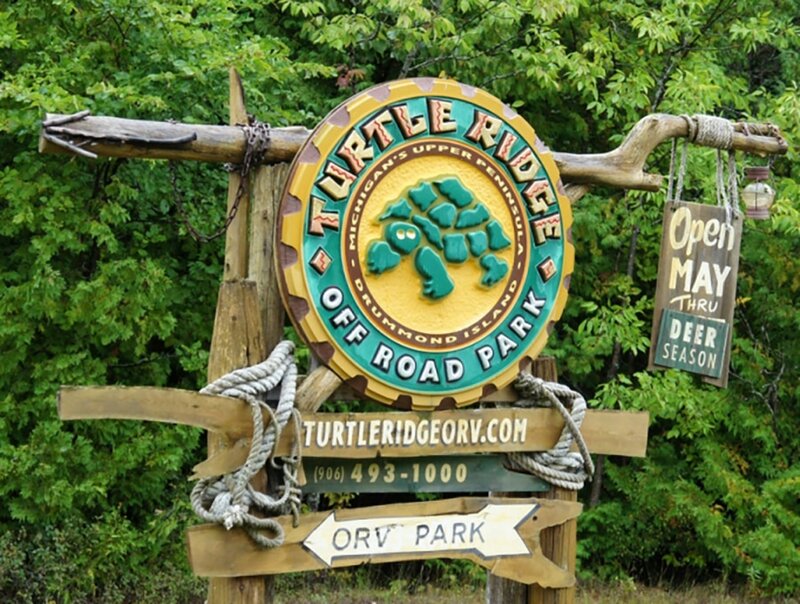 Drummond Island Resort is the proud home of the Turtle Ridge ORV Park. 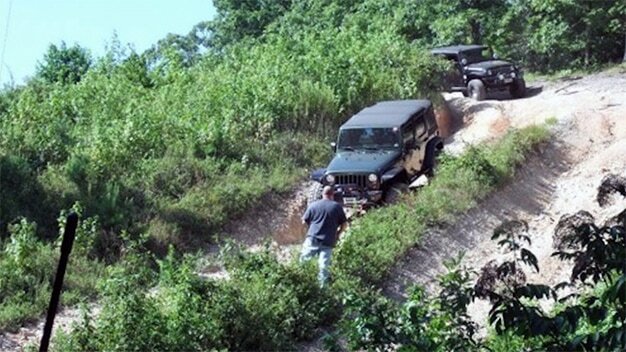 Turtle Ridge has over 500 acres of prime off-road vehicle trails. The course is carved out of the islands natural limestone and provides thrills and excitement for all those who experience it. 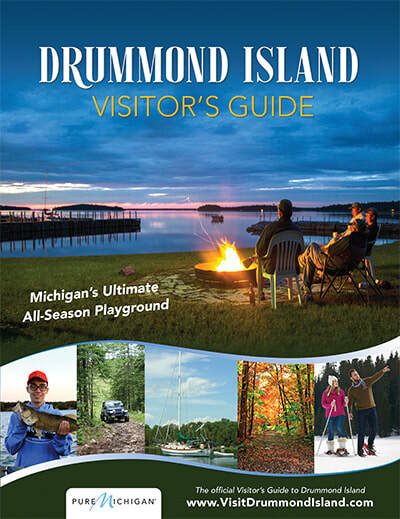 the guide that all other trail systems follow"
Excellent multi-use trail maps are available locally from a variety of local businesses and the Drummond Island Tourism Association. Trail system use requires a State of Michigan ORV license, available locally; funds from the ORV license sales are put back into the trail system. Depending on the time of year, you’ll want to pack insect repellent, water, food, and appropriate outer wear. Because over a third of the island is NOT public, watch for private property signs and “No Motor Vehicle” signs when running Drummond’s public trails. As long as you stay on the posted trail system and stay ‘between the trees’ you won’t have any problems as all! Operate an ORV on any wet lands, to include lakes, shorelines, swamps, bogs, marshes (wet or dry), streams or rivers, or ride on Great Lakes shoreline or beaches. Operate an ORV on private property, posted or not posted, unless you have permission from the land owner. Operate an ORV on any State Highway including M-134. ​All Drummond Township and Chippewa County roads are open to ORV traffic. Operate an ORV under the influence of alcohol or drugs. Operate an ORV without a helmet. Operate an ORV with a passenger on a one up machine. You must ride single file on the far right side of the road.